Join us from 7pm – 9pm, Wednesday, May 16 at Linespace! 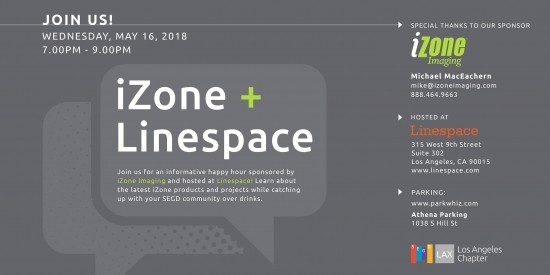 Join us for an informative happy hour sponsored by iZone Imaging and hosted atLinespace! 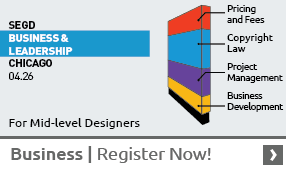 Learn about the latest iZone products and projects while catching up with your SEGD community over drinks. About iZone: Previously a division of Wilsonart International, iZone Imaging was founded with the mission of combining the latest advances in high-end digital imaging with the proven durability of high-pressure laminate. 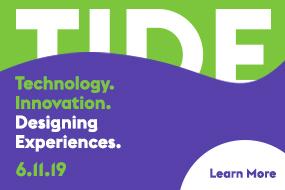 Since then, we’ve been helping our customers bring their environments to life with vibrant eye catching signage, experiential graphics or decorative surfaces that stand the test of time. project specific goals and tell brand stories.